Today, it will be a memorable day for Indian politics. There is a debate on no confidence motion against the BJP-led NDA government in Lok Sabha. Here, the ruling party, its allies and the opposition parties will put their views about performance of the Narendra Modi government in the last four years. Ahead of this debate, PM Modi called for a “constructive and disruption-free” debate. Know more. 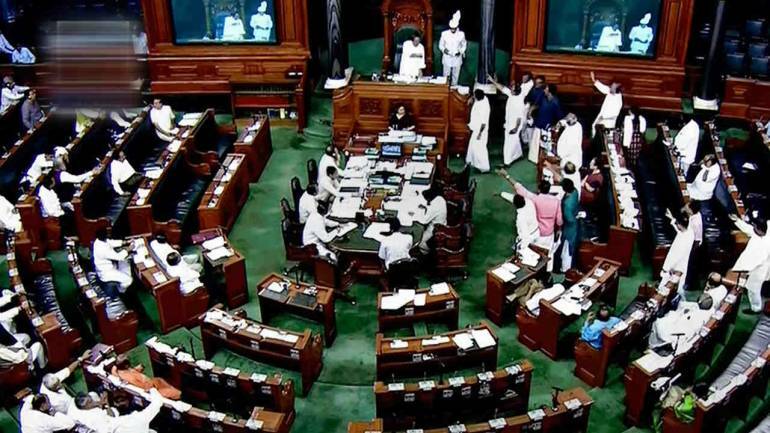 The move was made by the opposition at start of the monsoon session of parliament. Telugu Desam Party (TDP)’s motion first moved this motion which was was accepted by Speaker of Lok Sabha Sumitra Mahajan on July 18. For this debate, the ruling BJP has been given 3 hours and 33 minutes. The total time for the debate is seven hours. Out of 533-member house, the BJP-led coalition NDA has about 312 members where BJP stands at 267 as 11 seats are vacant. The Congress and the other parties that support the no-trust motion have about 152 seats. If a Member of Parliament feels that the government is not functioning satisfactorily then a no-confidence motion is moved by him. It aims at the resignation of the member. In this, debate is initiated and if more than 50 MPs support the motion then it is put to vote, where the ruling government has to prove majority. It was last happened 15 years ago that motion of no-confidence took place in the Lok Sabha. It was passed by Sonia Gandhi in 2003 which was defeated by then Prime Minister Atal Bihari Vajpayee. Today’s no-confidence motion is the 27th no-confidence motion in our Parliamentary history. Next articleDilbar: Nora Fatehi makes the remake of Sushmita Sen’s hit track a visual treat. This is how!